Pop singer Halsey and rapper G-Eazy have been dating for some time now, but this week the couple SPLIT! CelebNMusic247.com has the latest on Halsey breakup from Oakland native G-Eazy. A video has surfaced on social media showing the “Alone” pop star, born Ashley Nicolette Frangipane, breaking down in tears over G-Eazy during a performance Friday night. TMZ alludes that the song it has all the markings of an emotional toll taken by her breakup with G-Eazy, born Gerald Earl Gillum. Halsey performed at the Common Ground Music Festival in Lansing, Michigan, and during the song “Sorry” she became noticeably teary-eyed. G-Eazy, 29, and Halsey, 23, were inseparable and super affectionate for the year they dated. 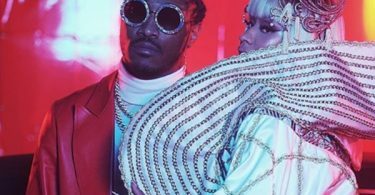 There were clear signs of trouble a week before their breakup at a Post Malone concert. When you watched there was clearly something different. The “Him & I” singer was spotted last week with Machine Gun Kelly. It was never confirmed but it seemed the 2 had dated in the past. Whether she’s seeing Machine gun Kelly or anyone else, judging from the concert it seems she has feelings for G-Eazy. Stay strong, maybe you two will get back together with Gerald.